When you feel that it's too much work and success is taking too long or that success is elusive because you have been dealt a bad hand in life, remember this man - Li Mingyong. Li is a Guizhou native who has had stints as duck farmer, builder and security guard. But that did not stop him from graduating with a doctorate after 20 years of trying. First reported by Beijing Youth Daily and widely lauded online, Li made national headlines in China after graduating with a doctorate last year and landing a job as a lecturer at a university in Southern China. Born in a poverty-stricken rural area in Guizhou, he had to drop out of school at age 16 after family members fell ill and got into debt. This, despite him always being in the top three among his classmates. While some may feel bitter about the situation he found himself in, Li simply got to work to help reduce the heavy burden on his family. First as a construction worker, and then he raised ducks and planted tobacco. It took him almost five years to pay off his family debts. While working as a security guard at Guizhou Education University in 1999, he got inspired by the campus atmosphere and decided to resume his studies. 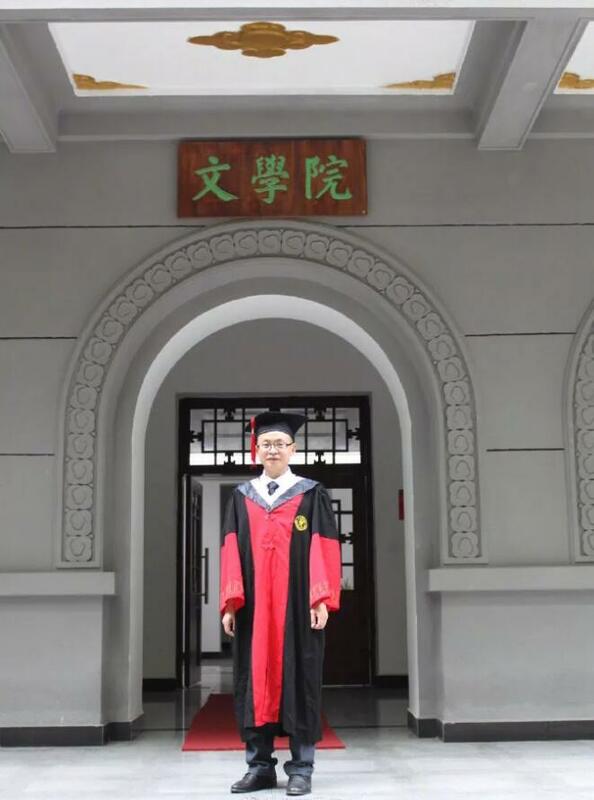 After two years of study, when he could find time during school hours and late in the night after 1130pm when he was off work, he was admitted by the university’s Chinese department. He was admitted to an associate degree course which did not require full-time study, taking the Higher Education Examinations for self-taught adults. Another two years passed before he was admitted to a bachelor’s degree course. While highly commendable, Li did not stop there. He set his sight on another target, to get a master’s degree. This was because the self-taught degree was not of much help to him as he wanted to be a teacher but a degree alone was insufficient. His knowledge of English was almost zero. So he memorised a dictionary of some 8,000 words, reported SCMP. Despite his best efforts, he failed the entrance examination twice. While well-meaning friends advised him to give it up, he decided to take the exam for the third time. That’s when his hard work finally paid off. In 2007, he was admitted to a master’s programme of aesthetics at Guizhou University, working part-time as a tutor to support himself and to help his family. His punishing schedule in his postgraduate days started at 7am in the library and ended after midnight every day. Li was admitted to a doctorate programme at Central China Normal University in 2015 – again, after two failed tries. After graduation last summer, he chose to go back to Guizhou Education University to become a lecturer. Li Mingyong attributed his success to not being afraid of failure, and the determination and discipline to achieve his goal, Beijing Youth Daily reported. Everyone can set a target and keep working for it. While one may fail, persistence will always get you nearer to your target, even if you don’t reach it in the end, he said. This is an article worth keeping and re-reading. If a duck farmer can attain his doctorate and become a lecturer with 20 years of hard work, what’s our excuse? If you find this inspiring, send it to people you care about. You never know who may be feeling dejected right this moment and how this could inspire them to achieve their breakthrough in career and life. Know someone equally inspiring in the insurance industry? Nominate them for Inspirational Agent/Leader of the Year at the 4th Asia Trusted Life Agents & Advisers Awards.